Item shipped and arrived fast. Easy to assemble and works great. I have a messy kitten that it seams like I clean up after every few minutes, needless to say this is a life saver around the litter box. Great suction for the size and cleaning is a breeze. For the price its a great little vacuum. Great purchase!! Very disappointed it doesn't do what suppose to do. 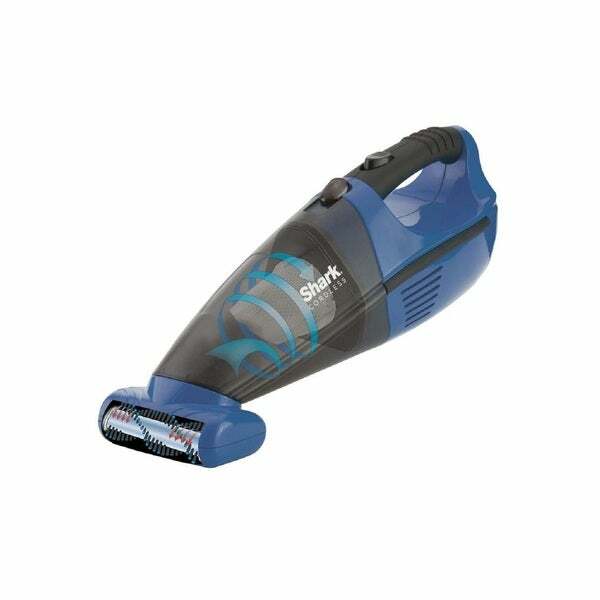 it is a wonderful hand held vac for small jobs but it does not remove the pet hair the way it states. I would recommend as a small hand held unit to pick up dust or a small spill but for pet hair removal a piece of tape does so much better. Received my cordless vacuum today and was very impressed. It’s works great and has good suction power. Easy and convenient to use around the house. Works great! I upgraded my old Shark for this one because having 2 kids under 3 I needed something light and quick to clean up. I love it! This is exactly what we needed. We have cats and a dog and it seems there is always hair or litter that needs cleaning up. So happy with this little vacuum. This is a great product. I'm glad I ordered it. I have cats. Anyone that has cats knows, how much fur you can have on your couch. It picks up all that cat hair of my couch. Love it!